Posted at: 9/13/2010 09:39:00 PM . 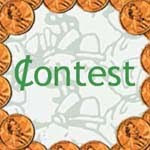 I hope you all enjoyed the Nature Valley Prize Pack Giveaway sponsored by MyBlogSpark. 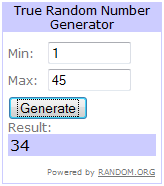 The entry period closed and using random.org, comment 34 was selected as the winner. Janet, I have sent you an email regarding your prize. Please respond within 48 hours or another comment will be selected. You are very welcome. I received your email and will be forwarding the information tonight to MyBlogSpark. If they send me an estimated arrival date, I will forward it to you through email.